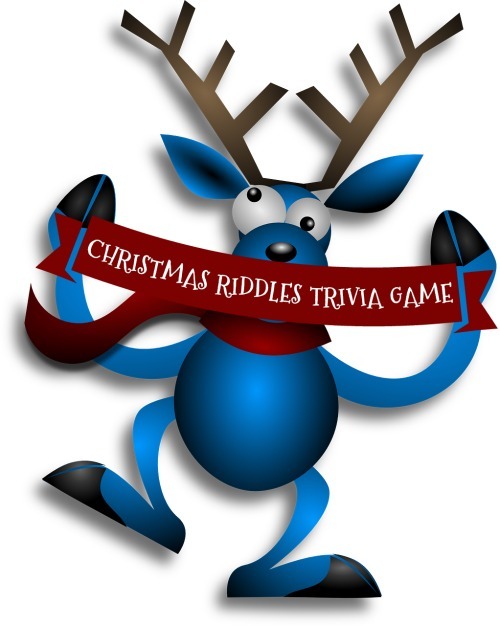 Test your riddle savviness with this Christmas Riddles trivia game. Opt to include the answer box and match the clues to the answers, or go without the answer box to make it more challenging. Both versions are available as downloadable printables below. A. Who delivers presents to dogs on Christmas Eve? B. What do you call a snowman on rollerblades? C. What do snowmen ride? D. What has no teeth, but bites? E. What do you get when you cross a Christmas tree with an apple? F. What do elves learn in school? G. What nationality is Santa Claus? H. What do you call people who are afraid of Santa? I. What do you get if you deep fry Santa? J. What you get if you cross St. Nicolas with a detective? K. What do you get if you eat Christmas decorations? L. How do Christmas trees keep their breath fresh? M. What do snowmen eat for breakfast? N. What is a snowman’s favorite fast food? O. What did the gingerbread man put on his bed? Possible answers in no particular order. 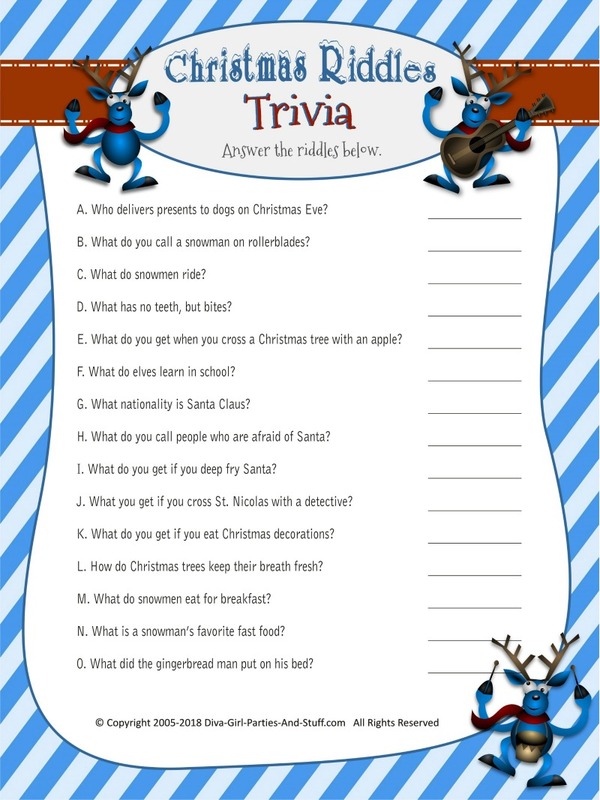 Fill in the form to receive your free printable Christmas Riddles Trivia games, including the answer sheet.